From Goodreads.com: Only trust can save her…. This story deals with a very touchy subject that may be triggering for some readers. Yet somehow the author manages to approach it in a way that not only comes across as realistic, but also straddles the line of seriousness without becoming depressing. The characters were also very well done, each of the "main" players having a distinctive personality, although there were times when I didn't agree with how they acted or reacted to certain situations. For example, while I understood Sophie's depression and Daniel's required absence from her during a difficult time - I did not understand why she suddenly seemed to do a 180 personality wise transforming into a spoiled brat that I hardly recognized as the original character. Thankfully, this behavior was eventually corrected, again in a way that seemed consistent with the overall story, so while I felt it was worth mentioning, it wasn't something that made me like the book any less. 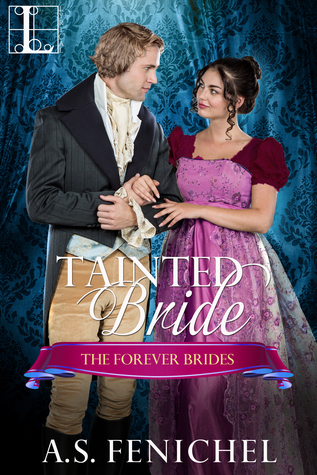 Overall, I am certain that this book will appeal those who enjoy a well-written historical romance. I will definitely read more from this author!